Includes one pair each of 2, 3, and 5mm neoprene condyle pads with covers. I have a Forecpoint knee brace for my left leg and need to replace the left pad. Mine appears to connect with a sticky adhesive vs Velcro and that's what's no longer sticking to the brace. Will these work on my brace? Yes, these pads will work with the Fource point knee brace. will these pads fit the ForcePoint knee brace? Yes, the DonJoy Condyle Pad Kit will fit the Fourcepoint knee brace. I have the A22 knee brace. would these pad replacements be the right ones for my brace? My daughter has a custom Defiance brace for her L knee. We lost one of the condyle pads and its cover. Is this the right replacement pad? What condoyle pads come on the defiance when new? I lost the left pad that had the raised portion for the knee stability. Does this kit contain that particular pad for support? the 2,3 and 5mm size pads are referencing the thickness of the pads, correct ? I have a defiance knee brace and I had to replace the velcro that holds the condyle pads. Do you just sell the velcro that adheres to plastic and velcro to hold the condyle pads? The condyle velcro is not available on BetterBraces. You will need to call DJO direct to order 800-336-6569. If the plastic condyle is cracked the entire brace needs to be replaced as those are not a replaceable part. You will have to call DJo direct and if the brace is under warranty we can replace it. Is there any possible way to replace? I only need the covers. My pads are good. You have it alone? Yes the condyle pad kit will fit all of the ACL rigid knee braces. Hi there will these work on all defiance knee braces? Does this include the hard plastic piece that the pad attaches to? 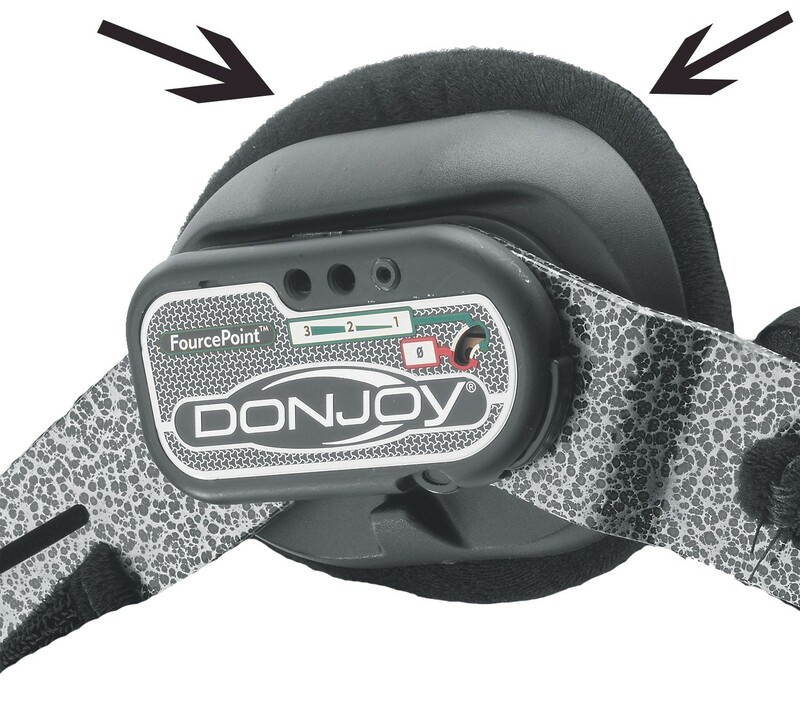 The DonJoy Condyle Pad Kit contains the actual condyle pads and velcro pads to attach the pads to the brace. Are these the same pads that came with DonJoy Knee Brace? Yes, these are the same neoprene condyle pads that go with most DonJoy Rigid Knee Braces.